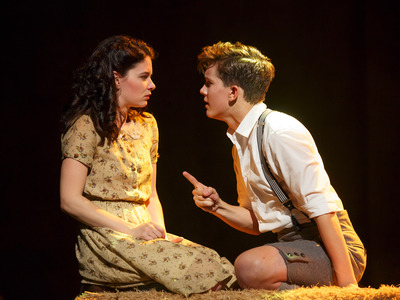 In September 2015, a revival of the musical “Spring Awakening” opened at the Brooks Atkinson Theatre on Broadway. But half of the actors couldn’t hear the music. Deaf West Theatre, a Los Angeles-based company that casts a mix of both deaf and hearing actors in its shows. 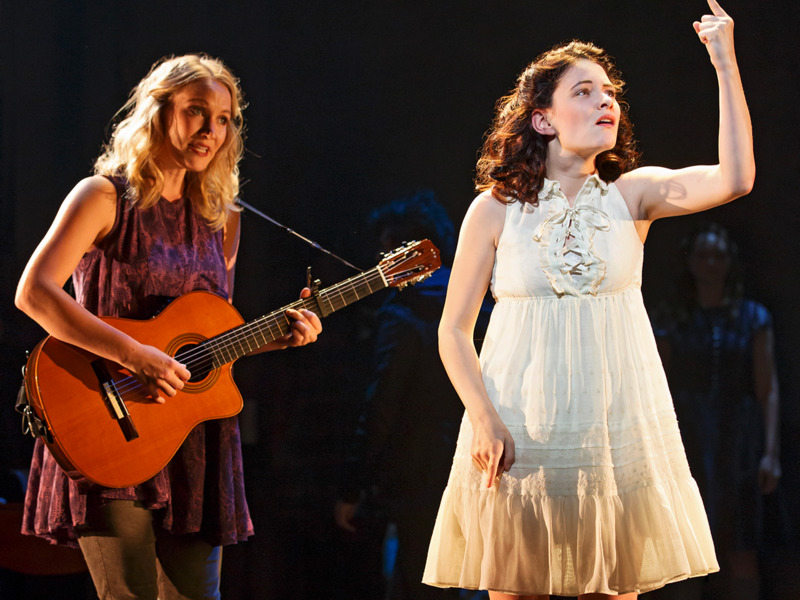 Their “Spring Awakening” revival, which appeared on Broadway through January 2016, was no exception. 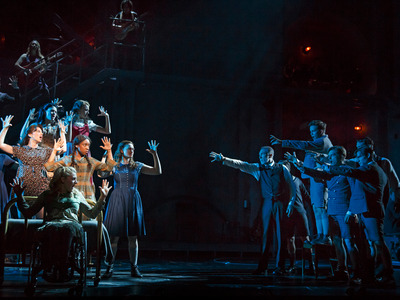 The show’s blend of English and American Sign Language enthralled audiences and picked up three Tony nominations, including a nod for best revival of a musical. Last night, they performed live at the annual awards. in New London, Connecticut. The founders were disappointed to find that LA had no deaf theatre company, so they created one. “Originally the productions featured all-deaf casts with hearing people voicing from the light booth,” DJ Kurs, the company’s current artistic director, said in an email. Later, during a production of “One Flew Over the Cuckoo’s Nest,” they cast both deaf and hearing actors. “We’ve been tinkering with variations upon this formula for a long time now,” Kurs explained. Deaf West’s initial production of “Spring Awakening” was funded in part by Kickstarter donations, and first staged in a 99-seat theatre in 2014. Broadway wasn’t on anyone’s radar. The show is based on a 1891 German play about sexual awakening, and was considered so racy at the time that it was often banned or censored. Adapted into a rock musical in 2006 by Steven Sater and Duncan Sheik, it brought home eight Tonys, including the award for best musical. In Deaf West’s production, pairs of deaf and hearing actors play the main roles: while the deaf actor performs in ASL, the hearing one trails behind them, singing and speaking English. Joan MarcusDeaf actor Daniel N. Durant as Mortiz. of the hearing cast members had no previous exposure to ASL, but honed their skills until the entire cast was able to perform in sync. Onstage, deaf actors watch for physical cues from hearing performers, or use offstage cue lights to time their lines. The resulting ASL-and-English performances are spellbinding to watch. The show’s first run was a sellout hit, and in summer 2015 it was revived at the Wallis Annenberg Center for the Performing Arts in Beverly Hills. Only weeks later, the company announced a limited engagement on Broadway in NYC. The show was praised by critics upon its New York debut, and cast members were even invited to the White House for a live-streaming performance. “We just captured lightning in a bottle,” said Katie Boeck, who voiced lead character Wendla alongside deaf actor Sandra Mae Frank. The show’s brief run closed, as planned, on January 24. Joan MarcusCast members Treshelle Edmond, Ali Stroker, Amelia Hensley, Lauren Luiz, Kathryn Gallagher, Krysta Rodriguez, and Alexandra Winter. Tony nominations: best revival of a musical, best direction of a musical, and best lighting design of a musical. Boeck, too, was filled with pride. “We had come all the way from all of us making $20 a show and rehearsing in a church in North Hollywood to being on Broadway,” she said. The cast was even invited to perform at the Tonys. The only problem? They didn’t have the money to make it happen. launched another Kickstarter campaign to help offset the cost of their Tonys performance, as productions are typically required to foot the bill for their performance, according to a blog post from “Spring Awakening’s” producer, Ken Davenport. The $200,000 fundraising goal was to be used for flying the cast to New York (they have dispersed all across the country since the show’s closing), removing costumes, props, and sets from storage, and paying for rehearsal space in advance of the telecast. 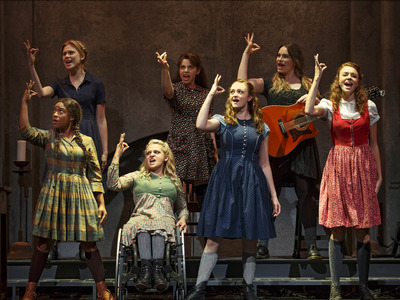 They exceeded their goal, raising $211,634, just one day before the Tonys ceremony. Joan MarcusKatie Boeck and Sandra Mae Frank as Wendla. 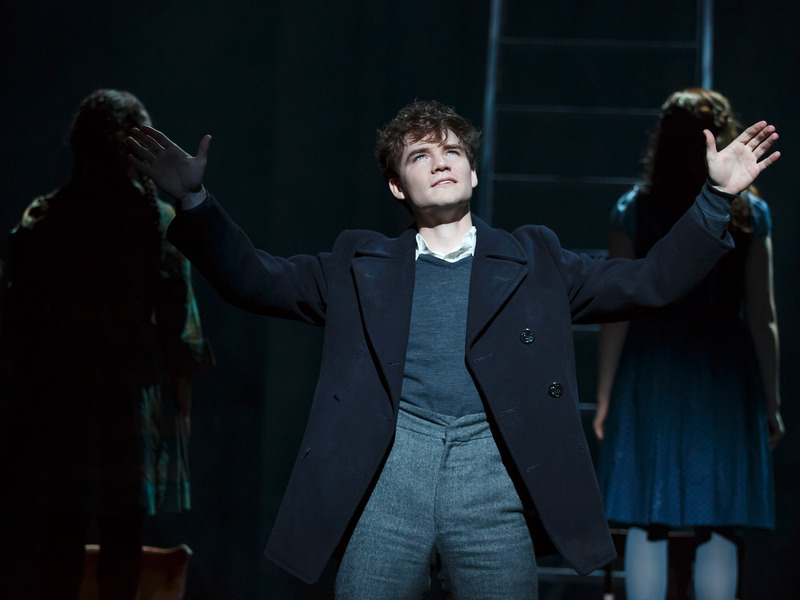 Even though the Tonys are over, “Spring Awakening” will still get the chance to continue its run: the show’s producers have announced an upcoming national tour, though details aren’t yet final. Kurs also hinted that more musicals are in development at Deaf West.